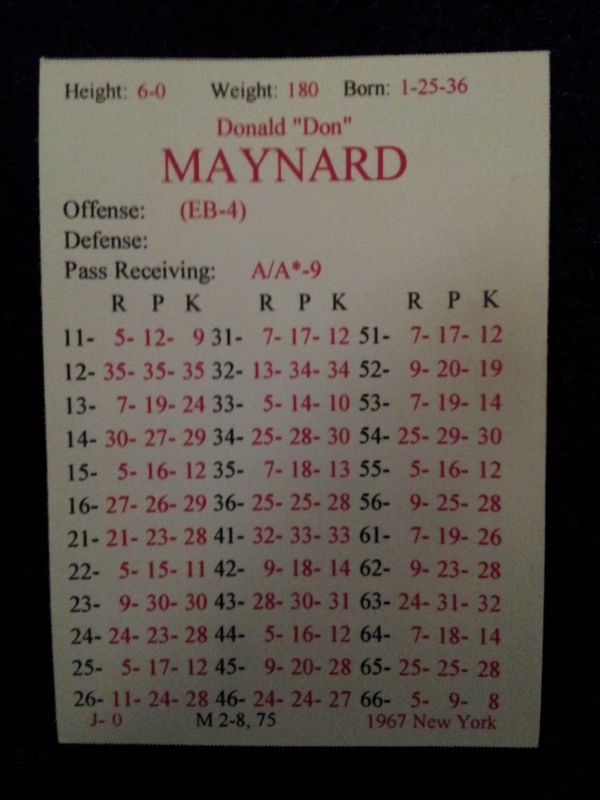 In 1967, Don Maynard averaged 102.4 yards per game and led the AFL in receiving yards. Actual: 71 receptions for 1434 yards resulting in an average of 20.2 yards per catch. Replay: 67 receptions for 1653 yards resulting in an average of 24.7 yards per catch.